This month is flying by! Our shows on HSN start tomorrow, can you believe it? We can’t wait to show you the new jewelry, storage, dies, embellishments and more that we have in store for Anna Griffin Elegant Paper Crafting! Our show times are tomorrow (Friday) at 10am, 3pm and 8pm, then join us this Saturday at 9am. Join us tomorrow at 10am, where we have the incredible Cricut Maker with an exclusive materials bundle. That’s not all, we are also opening up the Maker educational autoship program so you can get in if you missed this in October. The Make Something You Love with Anna Griffin class program features exclusive cutting files, materials, projects, how to instruction and video. It starts in December with your first kit and goes through December of 2018. Anna teaches you how to cut and make projects out of paper, felt, faux leather, fabric and more! This is only offered on HSN and only this week! We will make a special appearance for the Happy Hour Show with Robin and Helen on HSN2, Friday night from 8-10pm! We will be on at 9pm with the Cricut Maker! 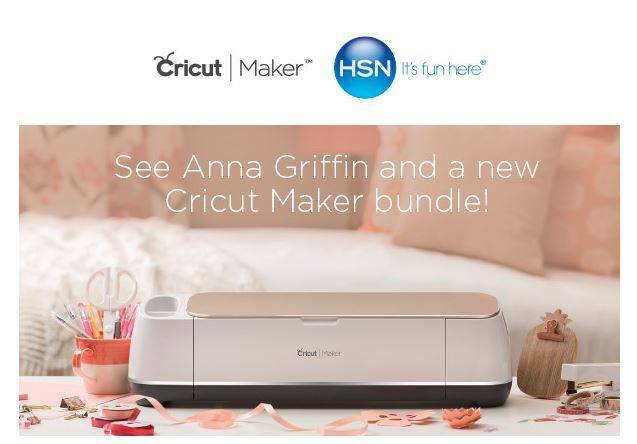 The Cricut Maker will be offered on HSN2 all Thanksgiving week as part of their Thanks-Gifting program. Oh so much fun! We are so excited to see you tomorrow! love the fauz leather you have. I would LOVE it if you could make a stand alone deal with the “auto-ship” Make something you love materials and tutorials. I order the Maker bundle in the October launch BEFORE it aired on television because I was afraid it would sell out. I am not familiar with what auto-ship meant and I declined because I thought it meant another machine would come. Ha ha. I missed out on this awesome addition and couldn’t get it later without returning my order and ordering again…but by the time it aired (and I saw the show) they were sold out…so I couldn’t return it because I would not have gotten the extras. Please make a long time Cricut AND Anna Griffin fan a very happy fan and come out with these as an offer that is by itself. I have seen so many people kind of complain because they bought the machine when it was announced, but they would have loved your tutorials. I could GUARANTEE that they would sell out in minutes! We have added it to our ideas! yes it says sold out, man they go fast. I agree with several people who have asked if you would develop a journal without the date pages. Also, I need it to close so I can put it in my purse without messing up the pages. It would also be lovely if you could sell some of the contents separately. I use my “planner” binder for a big address holder. I keep my stamps and address labels in pocket pages. Thanks for all you do Anna and Company! Would love to see an Anna Griffin journal similar to the planner but without the date pages. Love the dividers, stickers and other pages in the planner! Anxiously waiting for the shows !!! I want it all. Your products are just awesome !!! I can’t wait to watch all week-end. Love your products. Anna can’t wait to watch todays & tomorrows show’s! I made a list but after looking at your list of items I’ve ended up almost doubling my list & placing me over my budget!! Love everything I must choose my top craft items to purchase?? Wishing everyone a Happy Gobble Gobble Thanksgiving!! Looking forward to the show today. So many beautiful items. Let the fun continue! So many beautiful options! I think the Friday Night with Helen & Robin will be a blast! I’ll be joining in on that! Have fun Anna! I’ll be blowing Aloha kisses! Looking forward to seeing you on HSN in the morning! Rearranging my craft room. Would love to win the Deflecto storage items. I will be watching Friday and Saturday. Good luck tomorrow and Staurday! Happy Thanksgiving! Thank you Anna for having the warehouse sale and Thank HSN for me too. 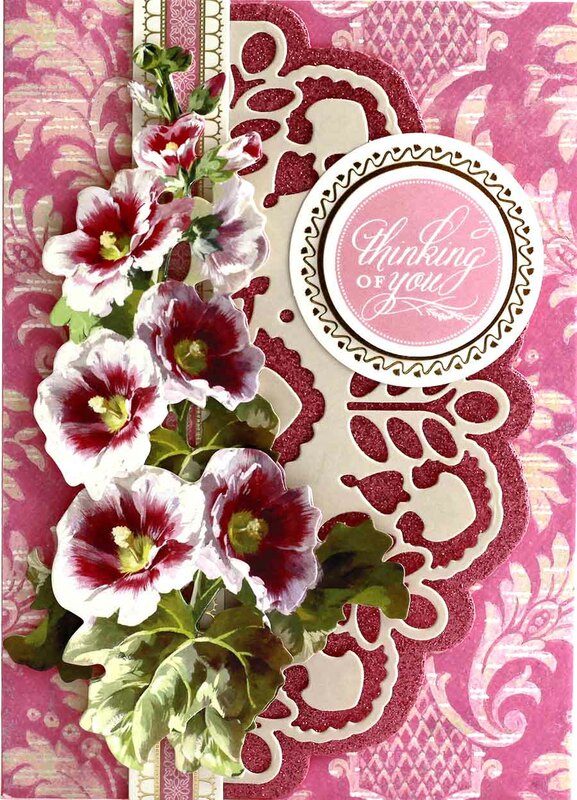 I got the the 3-D flower dies,fancy flip embellishments and the valentine perfect cards. Those cards are the prettiest cards you have made. The flower dies are on extended delivery but I am happy just knowing that they will be mine soon. Thanks HSN for the sale price. Looking forward to seeing you on HSN! Thanks do much for posting the shopping list! Most helpful! Also…..I LOVE your Pinterest ppage! I’m ready , ready to see you Friday and sat.I get so excited after you have brought to us so many beautiful things to make our crafting easier and awesome.Love all things Anna Griffin!!!!!!!! Have my DVR set to record all shows since I will be working Fri. And Sat. I have a hard time erasing your shows because I like to refer to them to see how you use your products. My husband would like me to erase some of these shows to free up space for other shows. Will be watching you when I get home. I’m excited to watch all the pretty things y’all will have on HSN tomorrow! Can’t wait! I’ll be watching. thanks for the shopping guide! Can’t wait till tomorrow! So much fun, so little time! 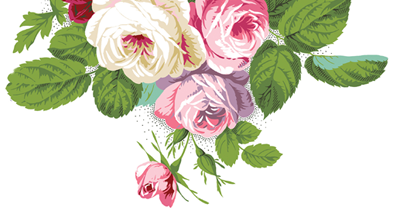 What a varied outline – I already have a list of my favorites. . 3 D Floral Cutting Dies – this is outstanding. Thank you! Will have to DVR the first show, but be able to see the next two. Looking forward to watching on Saturday which is such a plus. Thank You! Craft items. Wish I could afford to buy everything. Hi, I jumped the gun and ordered the fan and valentine dies…GOT THEM TODAY AND OH MY…THEY ARE GEORGEOUS!! CUT PERFECTLY!! Can’t wait for the shows! I am off and just watching you all day long. Love everything Anna makes. Haven’t missed too many Anna Griffin shows so I will be glued to my T.V. tomorrow for your 3 shows. Can’t wait. Anxiously awaiting your arrival on HSN. Just saw your new video. I’m bubbling wi excitement! Bravo Anna!!! Looking forward to the shows. Love to watch and shop! CRAFTING IS IN THE AIR!!! GET ME A CUP OF HOT CHOCOLATE WITH MARSHMALLOWS AND I’LL BE ALL SET TO WATCH ANNA IN ACTION………. Beautiful items as always!! Making my list! Thank you ANNA!! So excited!! Already have my list in my gift bag! That’s sure a lot of great things! So who won for last time, Anna said they would be giving it away on the blog, thanks. Hi. I bought the Anna Cricut but at that time it didn’t come with the Design Space elements. Will you be selling that separately, ever? I am over from England and staying with my daughter in California……. too late for Create 3 this time but at least I get to see Anna on HSN. So excited! I can’t wait to see all the beautiful things on HSN! Cant wait to receive items already purchased as I will have my grandkids overnight for the Raleigh Christmas parade and can’t watch. Craft on Griffinites!!!! I can’t wait to get the fan dies. I think they are lovely on Valentine’s cards, but would be even more perfect for wedding and shower cards!! Love all the new things! I have my list and will be shopping early,but will be up to watch all your shows – it will be a wonderful two days! ALL HEART CUTTING DIES & the FRENCH FANS takes my breath away They are so beautiful. Love the fan dies! Selected what I want to get and put it in my shopping card and was ready to check out. Shipping should be $5, but I see $10 and no flex pay options. So, unless this is resolved tomorrow, I won’t be buying. I have several of these products but need to learn more how to use them. Lol. Can’t wait til tomorrow!!! Planning my day around the shows!!! ok, tomorrow can’t wait. Love the cards. Can’t wait to shop tomorrow!! Can’t wait to see the demonstrations! Everything is soooo beautiful! I really need to go back to work so I can pay for all this. Keep it going Anna. Love you. Thank you for the list. I really love your products. Just LOVE the fan dies. They remind me of my Grandmother and going to church when women used them during a hot humid Sunday Service. Getting ready to move to another state and everything will go into a pod until we find our new home. We’ll be living in our RV until then so not much space. So should I really get them? Hmmm, yes I think so. Happy Crafting!!! Can’t wait!! I want the planner hope it is on easy pay. So looking forward to new shows & products!!!! I can not wait to see you Friday and Saturday. Love watching you and getting all of the wonderful tricks and tips for your products. I wish I could get the Valentines Day dies but I guess I will have to wait this time, but I sure can watch. 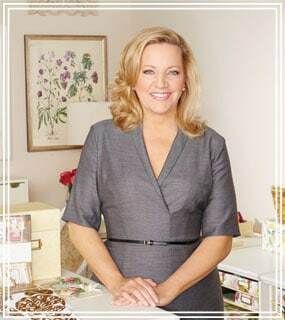 Hi Anna, It’s me Debbie Dunn again , looking forward to watching you on HSN Friday and Saturday!! I have ordered and received almost everything excepfor my most recent orders. My very best to you and your fabulous team. Always look forward to your shows! See you then! I don’t know if I can watch the Cricut Maker. I really want one of these, and I know I won’t win one. But what I would really need I’d the planner. My husband has a lot of Doctors appointment plus my appoints. So I need the planner. I love the heart dies and the fan dies. I’m sorry I can’t watch the Cricut Maker. I really need one. But thanks anyhow. The Deflecto makers are great. Those would really come in handy to put things in. i can’t wait until tomorrow! and Saturday!!!!!!! FInally some crafting on Saturday and I can watch live! Gosh, I have so many more cards for Christmas. I can’t wait for Valentine’s day. So looking forthe fri night and Sat show have my list all ready . Thank you for the shopping list Anna!. It is hard to tell what is going to be offered on any given show because HSN won’t show the products for the time slots anymore. Seems to be a big secret with them until the show is actually on the air and even then they haven’t always shown everything available for that time period.. With out your list last time with the product numbers it would have been awfully hard to find every thing . Is any one else frustrated with the way HSN has been ‘NOT’ showing the products ahead of time-even for the day of the show or sometimes not even when they are being aired? Can’t wait to watch and see all the new stuff! Thank you for the early Valentine items, can’t wait to get started on Valentines! I thought there were some shaker cards that you did a preview of, but I don’t see them on this list? I already ordered all the new items I want! I have a lot of glitter tape. Can’t afford a new Cricut. But am sure I will enjoy the rest when it arrives! So beautiful! Love the Dresden trims, have a good collection of them which I have used for years. And fortunately for me I already have most of the other returning items. My credit card will be smoking. Too many gorgeous things not to want or not to buy. Everything is so awesome and fits right into my left over stash. But the….is anything truely left over. I am a long time owner of Cricut machines–the personal cutter and an Expressions 2. After watching the Create class previews, I wonder if the Cricut team would present classes in other cities to convince people like me to purchase an Explore Air or Maker machine. I am totally intimidated by the computer aspects of these machines and presently don’t mind the dials and other mechanical processes to get the images I want. I want to be able to take full advantage of the advanced machines and learn best by seeing and doing. Perhaps Cricut could give introductory presentations and classes through Joann’s, Michael’s or Hobby Lobby. I live in the Denver area. I love everything and have already ordered some. You are amazing, as always! Anna looking forward to how you explain how to use your products. Also the idea of the Cricut Maker Bundle auto-ship that you will teach owners how to use the maker and do projects. I have purchased some of the things already and I am looking to make sure I haven’t left anything out. Looks like fun ahead for everyone as always.. .
Just received my valentine goodies from this list….SO SO GORGEOUS! Looking forward I your shows this weekend! wow, i can’t wait for the show! You make amazing things! Makes me so excited and i just want to get crafting!!!!! I’m excited to view the demonstrations on the cricut maker again. I have one but am still afraid to make a go of it. Inspire me some more, I need it. I’m ready to shop. I have every show programmed and can’t wait to get started. Hi Anna, By opening up the auto ship program, do you mean that those of us who already have the Maker can sign up just for the monthly kits? Not at this time, but it’s on our list of ideas! Very excited to see you and the new items on HSN! Ready to shop!! I am so glad you’re going to show us how to work the Maker. I bought it for myself so it would be easier for me to make quilts. Thank you. I was able to get the Cricut Maker with auto-ship in October. I’m looking forward to the extra shipments and videos! I’ve been loving cutting fabrics! look forward to seeing you on HSN! Running out of room but still buy more. I keep hoping I won’t like new products,but it never seems to work out that way. I think I am so original with my ideas until I see Anna step it up with supplies that I have! As alsoways tahnks for the ideas and new supplies to add to what I do! I had so much fun at Create and really learned a lot. Thankful for all that you do for us! Ready to start making my fan cards. 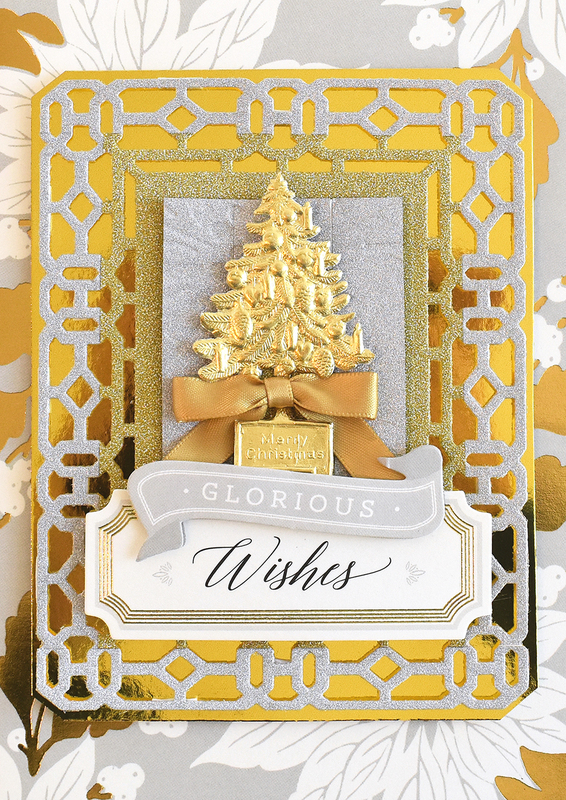 Question….what package or item is the gold Xmas tree from, that was used on the “Glorious Wishes” card above? It is so beautiful!! Are there similar items other than the tree? I must have missed that presentation. The tree was from our Christmas Dresden Trims! Thank you soooo much for opening up the Cricut Maker educational autoship program. My husband bought me the Maker in October as a surprise but missed autoship. We are both looking forward to this. Absolutely love your products! The fans dies and embossing Are calling me! Will be watching with a cup of tea! I am finishing up shopping today! I am still in overload from Create 3! So many beautiful products and projects can’t wait to see more, you never disappoint. Let’s just say, I’m gonna need those holiday dies & folders! Another show jam-packed with beautiful things! Yay!! Good morning, Anna! What a beautiful holly-day card you posted with this ever-useful shopping list–thank you for always providing useful INFO, helpful tips, and BEAUTIFUL-IN-THE-MAKING inspiration! You are so enthusiastic and gracious, and I am making cards with fresh inspiration and new creative inspiration since returning from CREATE 3 in Atlanta a few days ago. Looking forward to seeing and watching you on HSN tomorrow, Anna! I’m going to get the beautiful fan dies. Almost show time! Can’t wait. I’ll be there tuning to hsn to get inspired for holiday crafting. Can’t wait until tomorrow. I have cleared my schedule and I am getting ready to watch, learn and buy! Everything is outstandingly beautiful as usual. Since I want everything this shopping list helps me somewhat stay on budget! It also gives me a chance to see what I already have to avoid duplicates! This is my chance to get the Favorite Flowers 3 stickers and some dies. Can’t wait. Looking forward to watching the upcoming shows! I would love to have the new Cricut I have so many in the past I have the last one not very long the air 2. This one I just don’t think it can get any better. Love every thing you do. Thank You. I can’t wait for the fun to begin!! Can’t wait! Love everything. Unfortunately, I can’t afford everything. Will do my best. See you tomorrow and Saturday. Excited, excited! Can’t wait to watch. So glad your on Saturday.